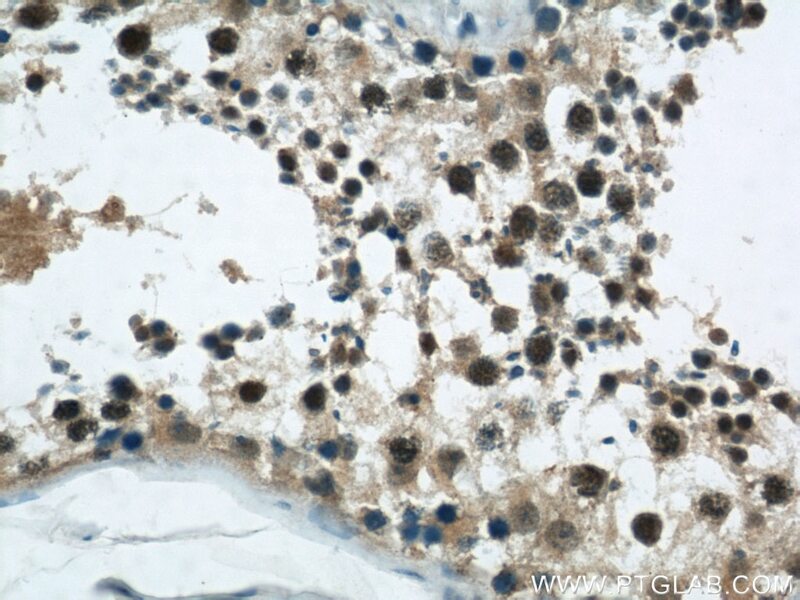 IP Result of anti-RCC1 (IP:22335-1-AP, 3ug; Detection:22335-1-AP 1:1500) with HeLa cells lysate 3000ug. 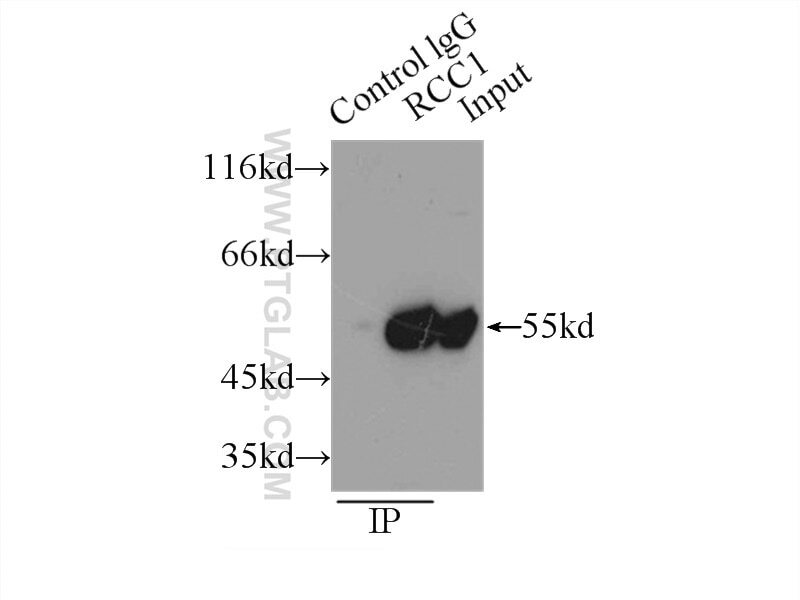 CHC1, also named as RCC1, promotes the exchange of ran-bound gdp by gtp. 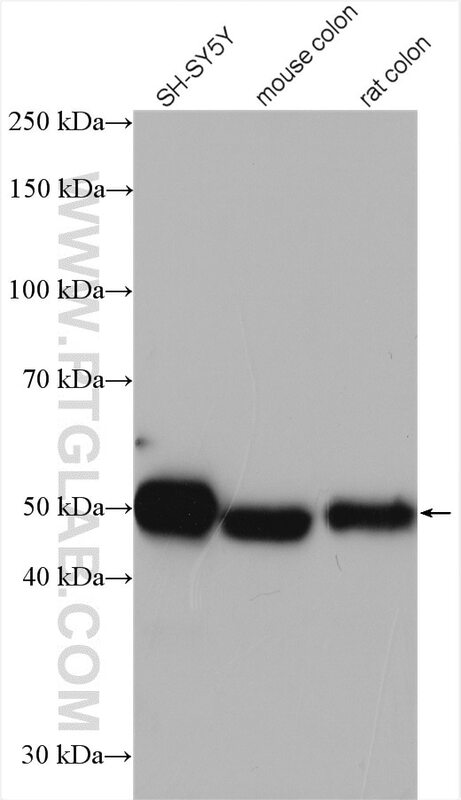 It is involved in the regulation of onset of chromosome condensation in the S-phase. 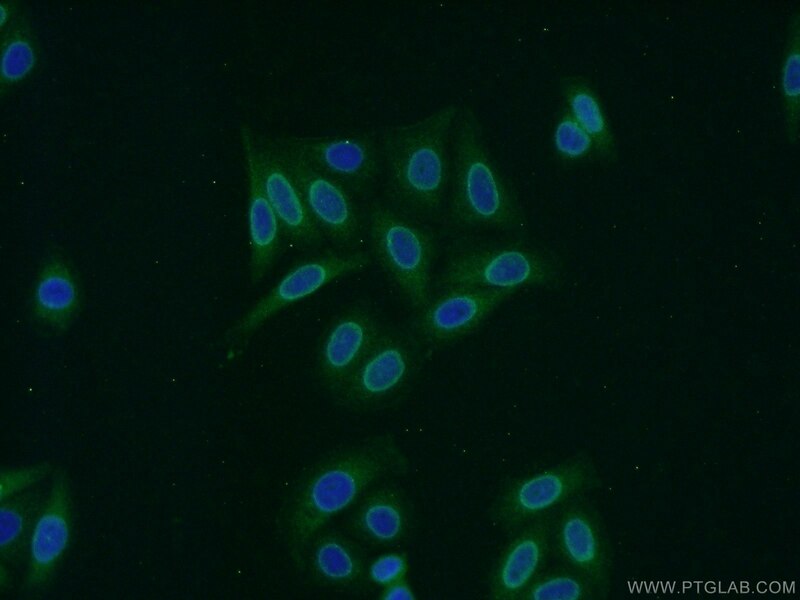 Phosphorylation of RCC1 on serines located in or near its nuclear localization signal activates RCC1 to generate RanGTP on mitotic chromosomes, which is required for spindle assembly and chromosome segregation. 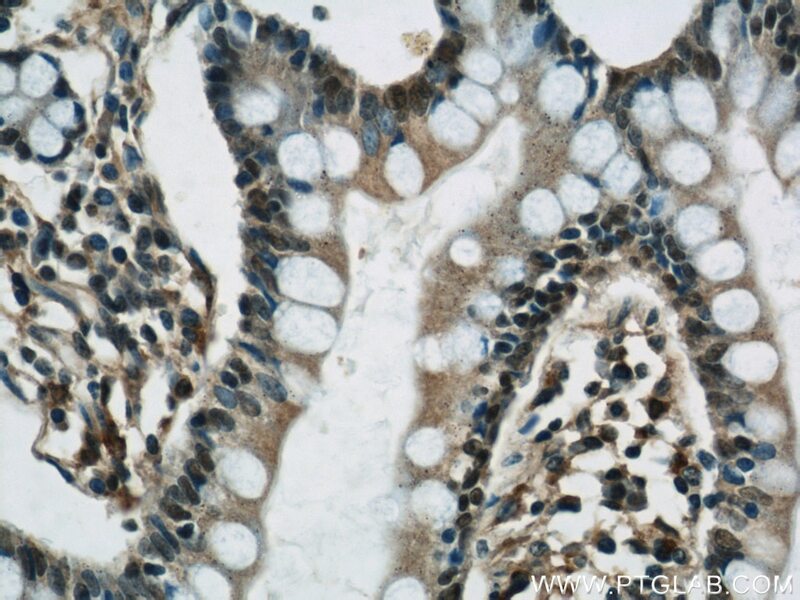 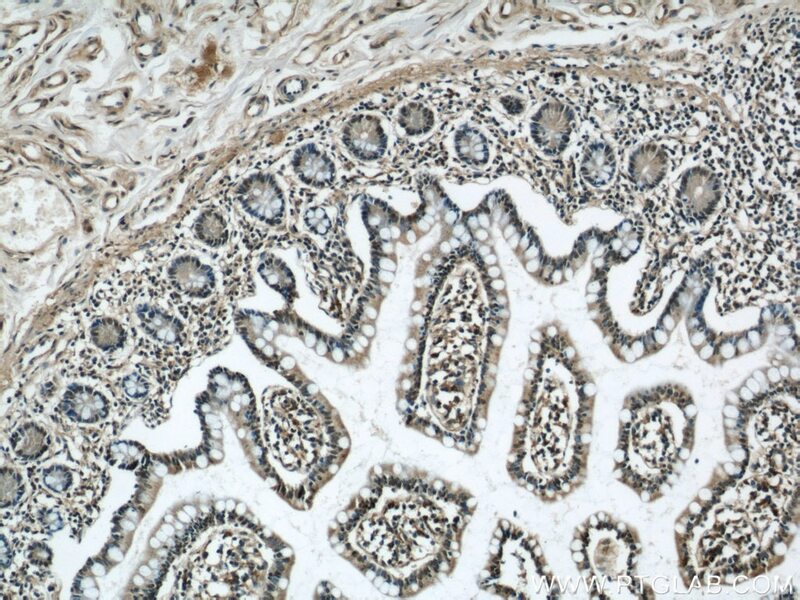 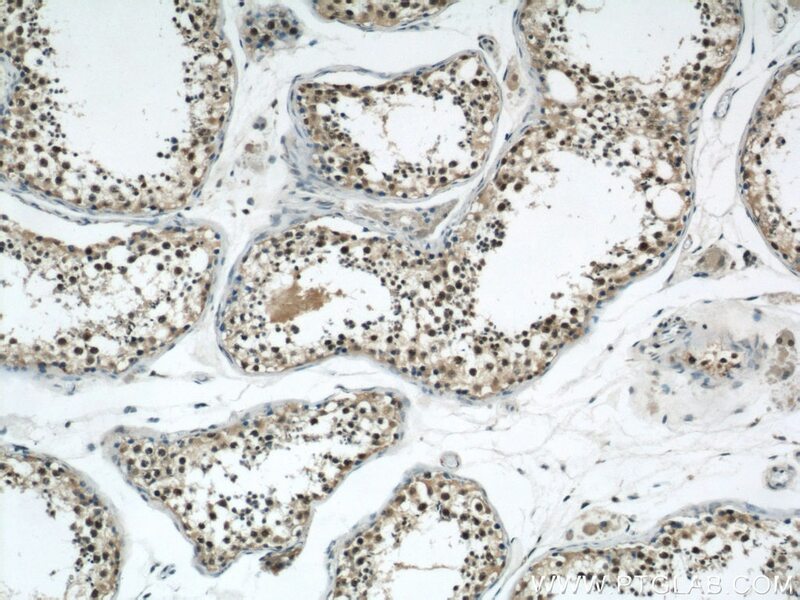 This antibody is a rabbit polyclonal antibody raised against full length RCC1 of human origin.